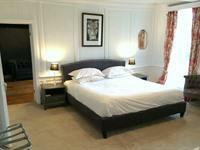 The luxury double room has a super king size bed, is very spacious with seating area & period fireplace. 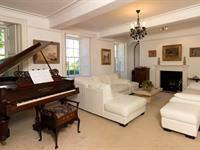 Double aspect sash windows overlook our gardens & lake. A large en-suite bathroom has bath with hand-held shower over. In-room drinks tray with coffee, tea & home-baked treats. Crisp cotton bed linen, stacked bookcase, & a very peaceful & restful space in which to unwind. For families, the luxury double can take an extra 2 single beds and a travel cot if required, sleeping a maximum of 2 adults, 2 children and 1 infant. The classic double room has a 4 poster double bed, is spacious & looks out over our gardens. An en-suite bathroom (no loo) has a charming period feel, & next door to the bedroom is a private shower room & loo. Crisp cotton bed linen, in-room drinks tray with tea, coffee & home-baked treats. A quaint, period-feel room with a cool & calm atmosphere. For families, the classic double can take an extra single bed and a travel cot if required, sleeping a maximum of 2 adults, 1 child and 1 infant. All room rates include breakfast & daily housekeeping service. 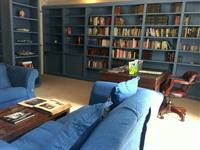 Enjoy our well-stocked eclectic library during your stay. Comfortable seating to sink into with a good read, children's corner & selection of board games. Overlooking our pool terrace. 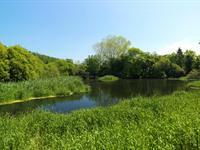 Enjoy roaming our 11 acres of gardens, woodland & private lake. Wile away some time spotting the pheasants, wild rabbits, ducks & geese on the lake, say hello to our neighbouring ponies. Fishing & shooting guides can be arranged upon request.